Close your eyes and imagine you’re on a tropical island in Cairo. The cool waters of the infinity pool seem to flow into the Nile below. Fringed by shady palms and temperature-controlled for comfort, the water relaxes and invigorates you. A pool-side terrace offers a secluded place to catch the sun, while you sip a freshly squeezed juice from Sunny Bar. 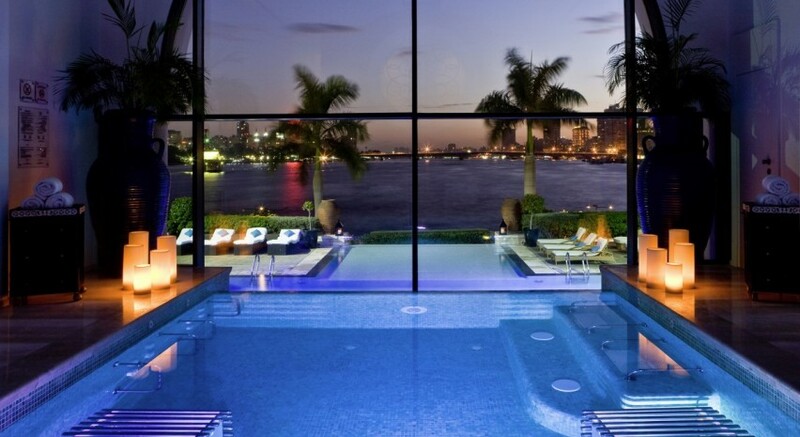 For a calming swim with stunning Nile views, slip into the relaxation pool inside So SPA. A large, arched window overlooks the river, so you can swim amid candles and leafy plants while gazing out at the city lights across the water. Let the whirlpool relax your muscles and reinvigorate you.